One of the joys of old photographs is the occasional detail, the one that hovers at the margin, away from the central feature of the image. 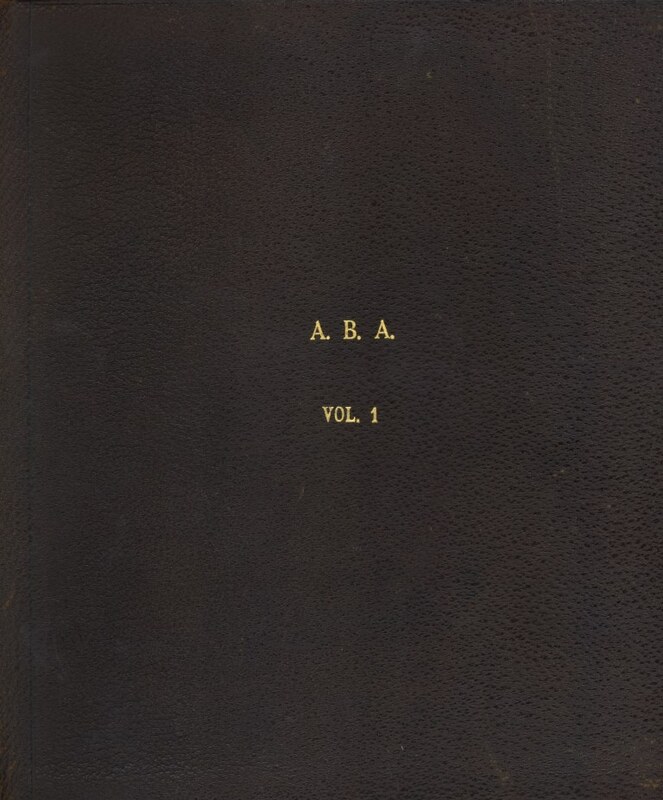 Looking through one of my grandmother’s albums – helpfully marked “Vol. 1,” although I’m not sure there are any subsequent ones in the series – I’m struck by the horses and cars (even the occasional ostrich) that coexist with the people peopling the photographs. 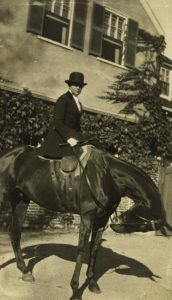 My grandmother’s family was considered very “horsey,” and they were happy to be associated with their powerful cars – and I think there is a bit of a story to be found in these images. 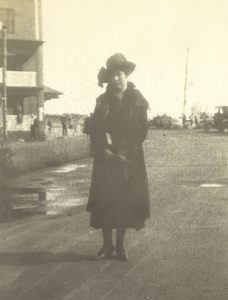 Anne and Theo Ayer in California, 1915. 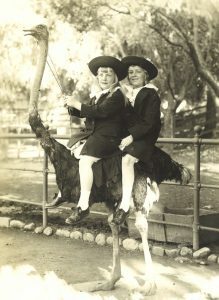 The earliest image shows my grandmother and great-aunt riding an ostrich in California. It is marked 1915, when Aunt Theo was nine and Grandmother was about seven. My great-grandparents used to go out west in the winter with my great-great-grandparents, and I’ve seen letters about their visits to the Banning and Patton cousins in Pasadena. For my grandmother, a native of Boston, these California trips must have seemed quite exotic, and the ostrich ride seems like the icing on the cake. Mr. and Mrs. Charles Fanning Ayer with their daughters Anne and Theodora. 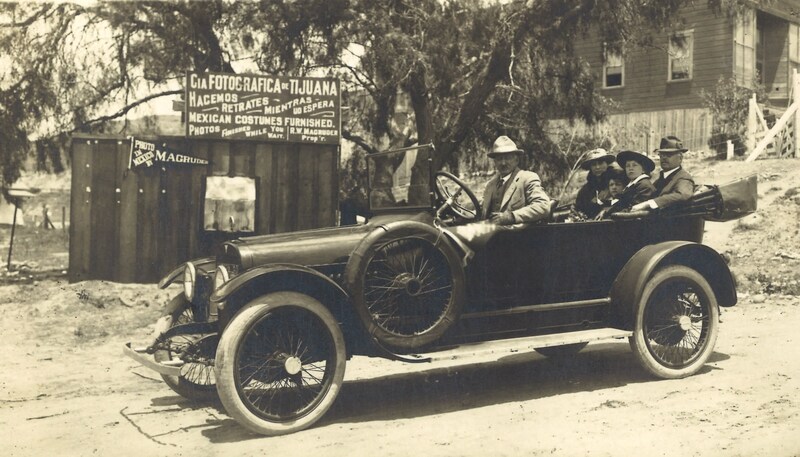 One of my favorite photos of the Ayer family is this one, showing my great-grandparents with their daughters visiting Baja California. The photographer has helpfully provided signage to advertise his services. 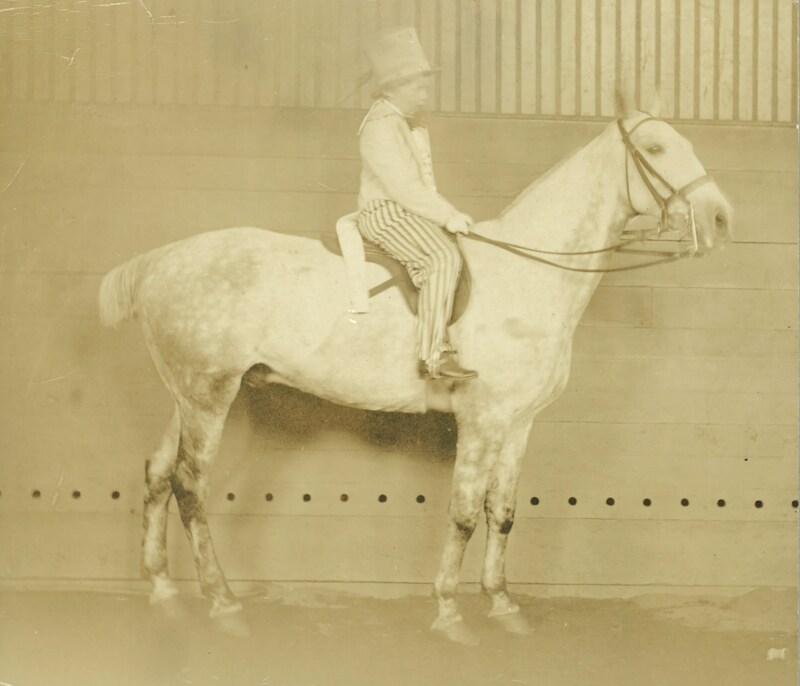 This photo, from 1916, shows my grandmother riding Greylegs for a fancy dress event at the New Riding Club in Boston. 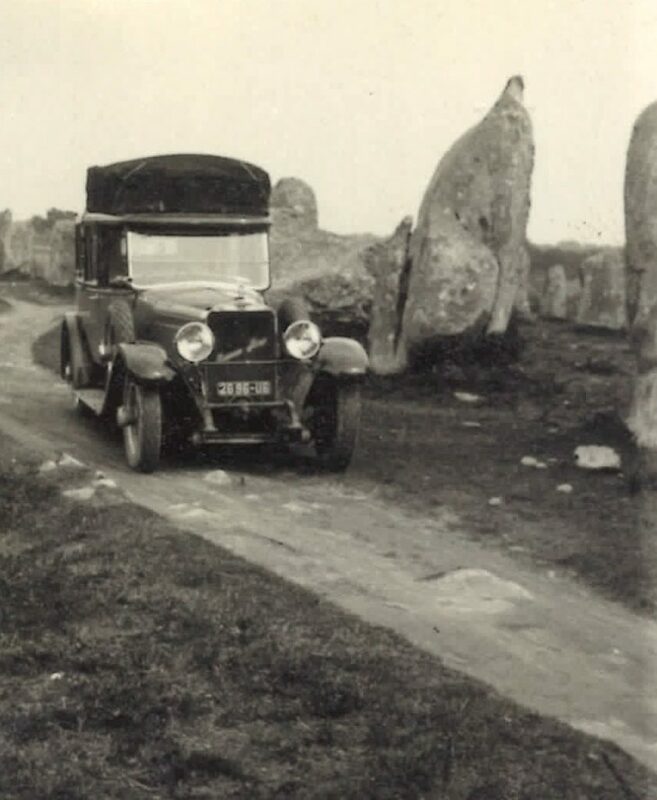 The next image dates from the late 1910s, I’d say, or early 1920s. My grandmother has captioned it “Mama, at some point in her career,” which suggests they had a fairly sophisticated parent-child relationship. 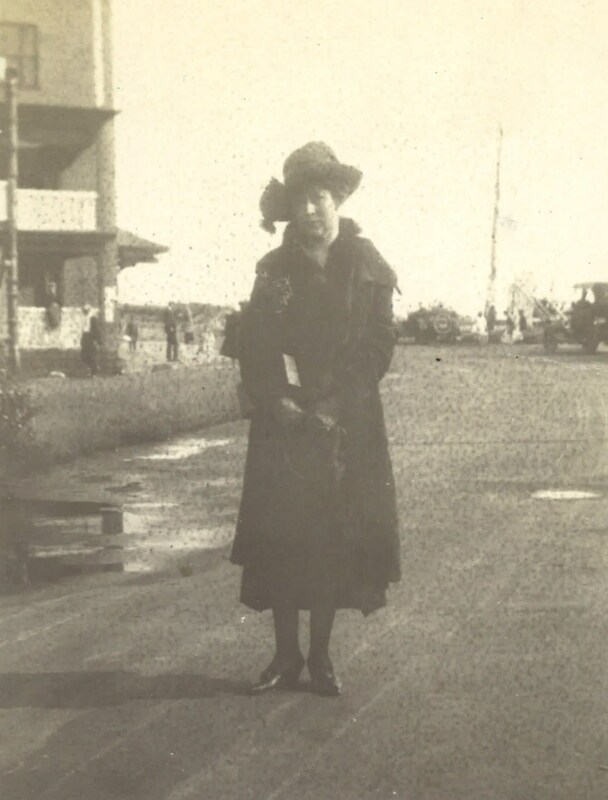 Finally, here is another image of my great-grandmother, identified by her initials: “T.I.A. 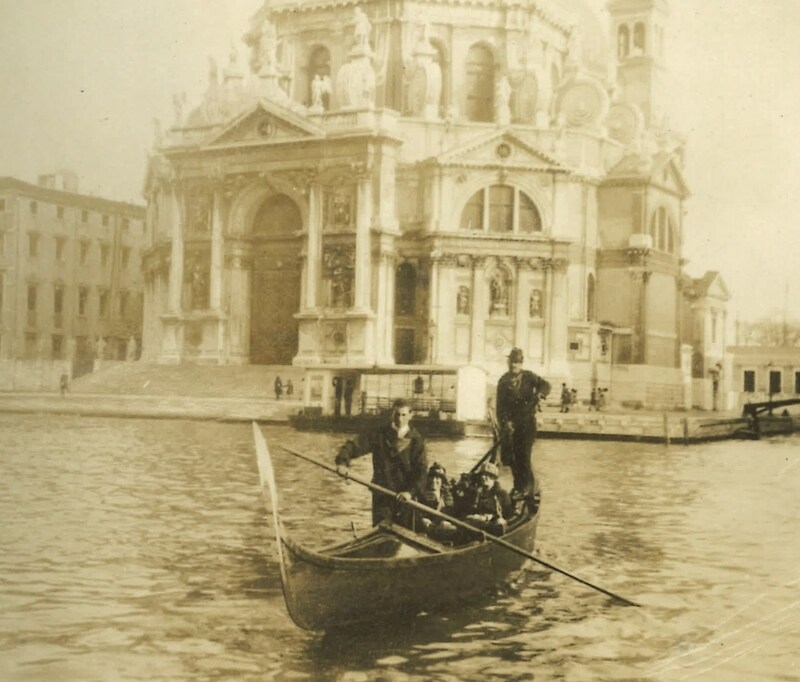 up.” As a general rule, the photos in this album contain a member of the Ayer family, a horse or a dog, and – as we’ve seen here – some sort of motor vehicle/ostrich/gondola. The thing at the margin has moved to center stage. Anne Beekman Ayer (1908–1947) and Theodora Ayer (1905–1996). 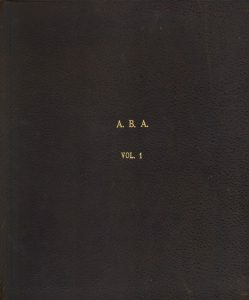 Charles Fanning Ayer (1865–1956) was married to Sara Theodora Ilsley 1904–45 and to Anne Phillips in 1946. Frederick Ayer (1822–1918) was married to Cornelia Wheaton 1858–78 and to Ellen Barrows Banning in 1884; a complicated series of marriages connected the Ayer, Banning, and Patton families, even before Frederick and Ellen’s daughter Beatrice married George Smith Patton, Jr., in 1910. Thanks, Jim, this is great! Very cool story – and great to have such photos! Love Jim’s picture and info too! What a great post! You combined several of my favorite topics (horses, dogs, and genealogy) and piqued my interest with the ostrich photos. I have seen several photos from the same era with people on stuffed horses (as well as the famed pony pics where photographers would take ponies to more urban areas to sell pictures of the local children on ponies) and so I wondered about whether the ostrich was stuffed. Did a little research and found that indeed the photos are most likely of people on stuffed ostriches. Thanks for the interesting info.